"Thanks Gloria. And two digestives this afternoon, eh? It being Friday?" "Tea's just mashing, Mr Scroggins. Shall I bring cups for the assembly line shop stewards?" "No, No. We'll be here all day. And porcelain upsets them. 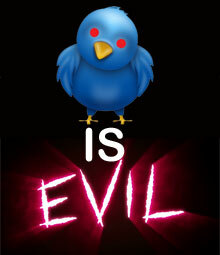 Show them in". As he looked out of his steel Crittal windows over the vast Leyland car plant, George Scroggins' heart surged with pride, pride at the haze from the leaking steam pipes, the cracked and patched asbestos cement roofs, the grimy and cracked windows and the plywood-patched skylights. From this plant came the finest automobile in Britain - the Austin-Morris Allegra. The noise of the broken door closer woke him from his reverie. "Come in! Come in! Arthur, Frank. Sit thee down. Now I don't expect this to be a lengthy meeting ..."
"That's why you always see us at three-fifteen on Fridays, Mr Scroggins. To be fair." "That's not wholly true, Frank, no, no .... now this is about young Donald Higginbottom I gather?" "Foreman suspended him, yes. Unwarranted victimisation. We're demanding full restitution." "But Arthur, he was fixing gearbox gaiters with two inch nails. He ruined nearly two hundred cars before Quality Control noticed, half of which have already been sold." 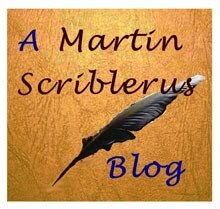 "Not his fault, Mr Scroggins. Supply shop ran out of that size of machine screws, and the screw shop said they weren't scheduled to turn any more until November. Donald was on gaiter bonus for twenty gaiters a day - not fixing gaiters would have taken food from his childrens' mouths. So he used what he had. You can't blame the lad"
"Arthur, I have to support my foremen. I have to uphold the suspension." "We'll bring Number Two Line, the rubber shop, the window shop and the carpet-cutters out unless he's revoked. Higginbottoms are big in the eastern sheds." "Wait wait Frank. There's no need to be precipitous. Digestive biscuit? We've had two strikes already this month, if you recall. Now what if I say he's only provisionally suspended, permitted to work as normal until his hearing, on full pay, but nominally suspended?" "On full bonus? Even if screw shop can't supply gaiter screws?" "Yes yes. Alright? We'll ask the Welsh Megra plant if they can lend us some screws. Otherwise we'll go with the two-inch nails. Now about next month's cars. What have we got?" "There's plenty of bright red upholstery vinyl, so we can switch all production to that. On the paint side, there's four thousand gallons of that yellowy-brown - 'Curry' the paint shop named it." "Head office vetoed 'Curry' as an Allegra colour, Frank. It's not the best word, is it? Reminds me of that German mustard we had at BMW last year ... I know! Let's rename it the German for mustard - Gloria! What's German for mustard?" "Moutarde, I think, Mr Scroggins"
"That's it. Tell the dealers they'll all be getting Moutarde Allegras with pillar-box red upholstery next month, Gloria. Now, lads, was there anything else?" "There was a suggestion that in future customers might be able to choose their own body and seat colours, Mr Scroggins. And that the waiting lists might be cut from four months to ten days"
"Bloody scaremongering. Don't pay any heed to that rubbish, Frank. I promise you, under Mr Corbyn, such things will never happen!" The text of Trump's speech reads as though written by two separate people. There's the Steve Bannon bits, all bull and braggadocio, pumped with adolescent hormones, in which the Donald claims that his conker is a sixer and will take on all-comers. Then there are the Trump administration's strategic drivers, delineating clearly an intellectual vision of America's place in the world. The quotes below are from the latter passages. We recognize the right of every nation in this room to set its own immigration policy in accordance with its national interests, just as we ask other countries to respect our own right to do the same. That is one reason the United States will not participate in the new Global Compact on Migration. Migration should not be governed by an international body unaccountable to our own citizens. The United States is committed to making the United Nations more effective and accountable. As part of our reform effort, I have told our negotiators that the United States will not pay more than 25 percent of the U.N. peacekeeping budget. 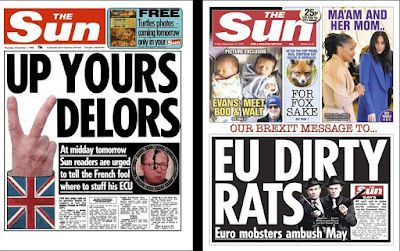 The Sun in its inimitable way embodies all that's good and right about press freedom in the UK - indeed, so used are the British to the exercise of this form of critique of the great and good, the entire population has taken it up on social media. Woe betide the inflated ego of any self-loving politician, the self-worth of dreary, humourless self-regarding Eurocrats and the pomposity of third-rate bling medal collectors, whose sciatica must surely blind them to the absurdity of their vulgar Ruritanian pretentions. In fact, we probably regard the freedom with which the British press, British satirists and cartoonists and British sketch writers portray self-regarding nobs as being normal, Liberal and proper, but this is far from the case. The Sun's headline was just too much for the delicate sensibilities of the EU's unelected official in charge of Justice - Věra Jourová, whose name must have been cut-and-pasted a thousand times by those too lazy to hunt for unfamiliar HTML code. 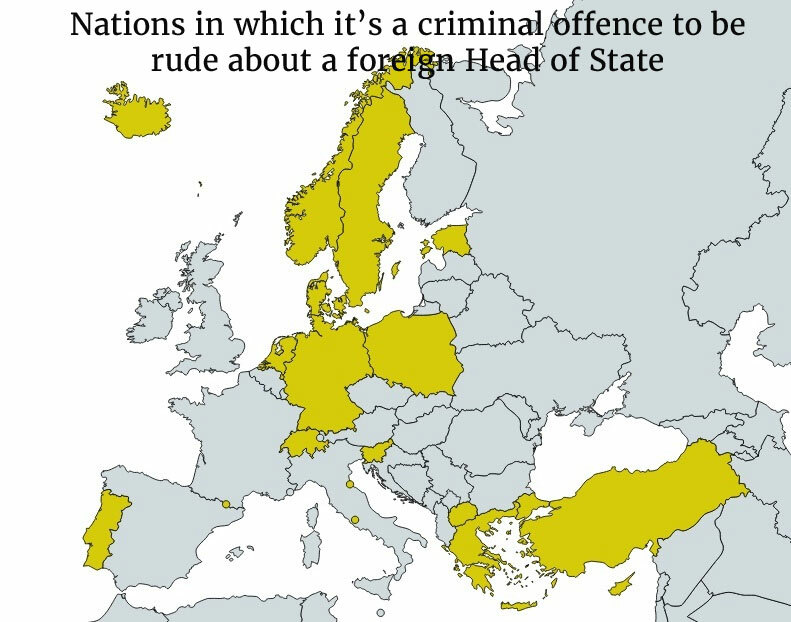 You might think having an EU official in charge of Justice is a bit like having an Admiral on the government payroll in Switzerland, but there you are. Vera, let's call her, is distinctly unhappy, particularly with the Sun, and as she told the Guardian, she has a post-Brexit plan for a "European approach to media based on quality and smart regulation" that will deal with this British lèse-majesté. 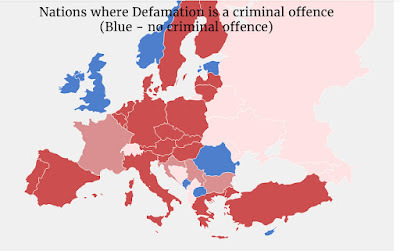 For the former, Germany, Denmark and Poland have the most draconian sentences of up to five, four and three years respectively. Poland will also jail citizens for three years for insulting their own Head of State - and the liberal little Netherlands will bang you up for five years for the same. I'd suggest that nations that appear on both maps are Europe's most repressive countries. Step up to the Iron Mask, then, Germany, Poland, Denmark, the Netherlands and Sweden. 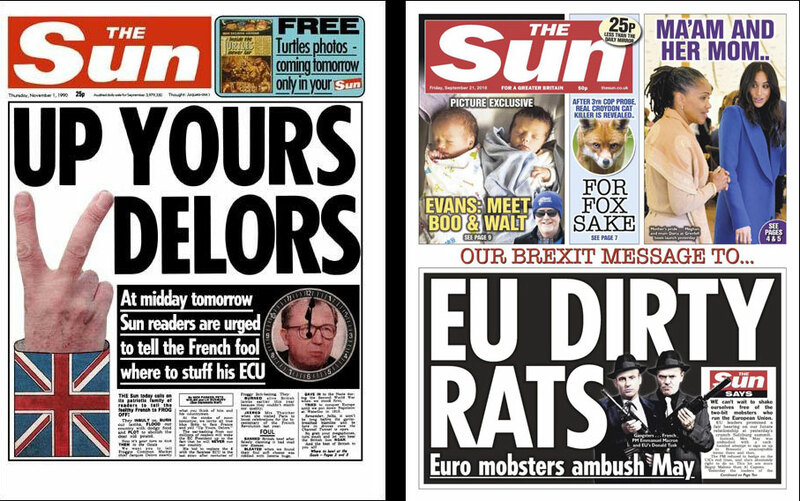 If you're a politician from these nations, Britain's unbelievably lax press laws must chafe something dreadful. Never mind, dears. From next year you can cut yourselves off in fairyland and enjoy awarding eachother colourful little medals. Until the whole edifice comes tumbling down.